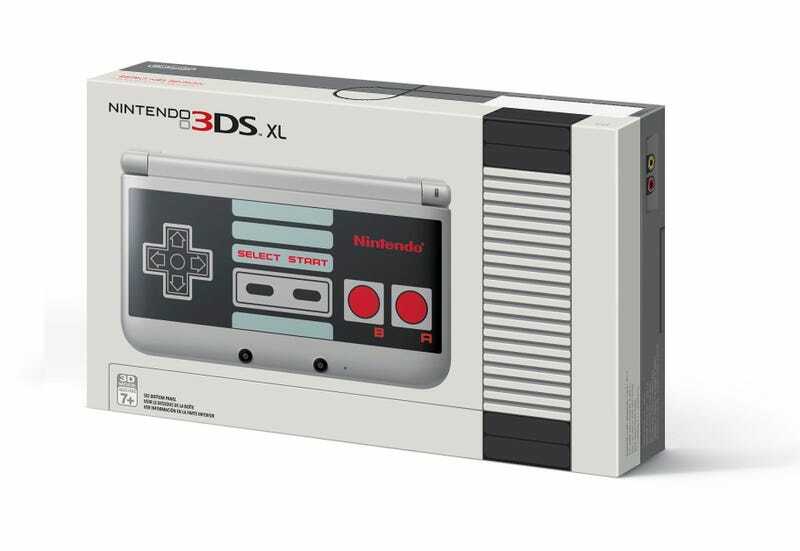 Straight from Nintendo's presentation at this week's GameStop conference, the company just showed off a NES-styled 3DS XL. Out October 10. Our tipster says it'll be a GameStop exclusive. Update: Nintendo confirms. Nintendo is also releasing a purple Persona-themed 3DS XL as a GameStop exclusive. It will be bundled with Persona. Copies of the game Persona Q will be sold separately, Nintendo has now confirmed. As for the biggest remaining 2014 Nintendo mystery, the company still isn't saying when Smash Bros. for Wii U will be out. During the presentation, according to our tipster, a Nintendo rep said the date would be revealed this Friday during Nintendo's Smash Bros. streaming event. CORRECTION: A Nintendo rep contacted Kotaku to say that their people at the presentation only promised general Smash info during Friday's livestream. We've checked with our source, who had mentioned the date detail but clarified that Nintendo promised that all our questions about Smash would be answered. In retrospect, it's clear the date comment was a speculative interpretation. I apologize for the error.